The hair-raising story of a group of adventurers as they raft down the Nile. 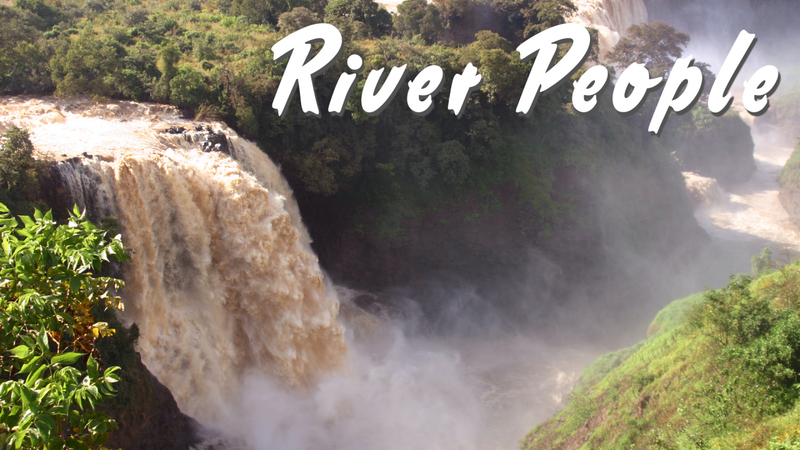 The Blue Nile in Africa is one of the world's most feared and least travelled rivers. For decades, no one dared brave the crocodiles and malarial mosquitoes that live alongside its deadly rapids. We follow explorer Hendri Coetzee and his team of four as they set out on an epic adventure to navigate its dangerous waters. Travelling through some of the most beautiful parts of Ethiopia, they dodge snakes and waterfalls, wonder at sacred sites and bond with local children. With its vibrant soundtrack and fast-paced editing, this is a surprising look at a rarely seen side of Africa. "I'm trying to get together an attempt to go down the Blue Nile", explains explorer Hendri Coetzee. "Its going to be a tough one but I think we can do it". He's chosen the worst possible time to try. "Several months of excessive rain have caused the river to flood", explains team mate Jim West. "The water's gonna go faster, the currents will be stronger, it's not good news at all for us". But for now, Hendri has more important things to worry about. "First obstacle is I need to find some rafts", he confides. "If I can't, it's a really long swim" When he finally manages to find some, they're full of holes. But his crew remain confident. "I have a winning formula", explains Joe, who has no rafting experience. "Just do whatever Hendri tells me and it'll all pan out nicely". Becky, newly arrived from England, has other concerns. "It's too hot. I'm getting burnt". They begin their journey at the sacred site of Ghise Abay, source of the Blue Nile. Many believe the waters here have healing powers. "There's a huge gathering of people who've walked for miles and miles and miles hoping to find some sort of cure to their ailments", states Lee in amazement. He washes his feet in the waters, "hopefully it'll bring us a little bit of luck on the river". But his hopes are in vain. On the first day, the raft capsizes. Hendri vanishes under water. Luckily, there are no signs of any crocodiles but "everyone takes a pretty nasty beating, hitting rocks". And when Hendri finally resurfaces, they realise they've "lost our GPS" and broken some oars. Despite the set back, they vow to press on. "But everyone's a bit conservative so it makes it harder when you start looking at the water like that". As the journey unfolds, the team struggle to cope with unexpected waterfalls; snakes and fast currents. But through it all, they remain surprisingly upbeat. "It's fantastic, it really is", raves Hendri. Even when they come across enormous rapids too dangerous to navigate and have to carry the boats for miles, he's pleased they're doing it in: "wonderful African sunshine." Towards the end of the trip, the mood darkens. "The team are feeling a little bit emotional today because it's the last day on the river", explains Becky. After 12 days basking in the African sunshine no one wants to return to normal life. When they arrive back in Addis Ababa, Hendri reflects on their experiences; "People got hurt, equipment got damaged". But despite all these problems; "The experience was amazing and it's something I will remember for my whole life".